PAGASA stated that the tropical depression "LAWIN" intensified into tropical storm and continuously moving towards westward at 11 kph. 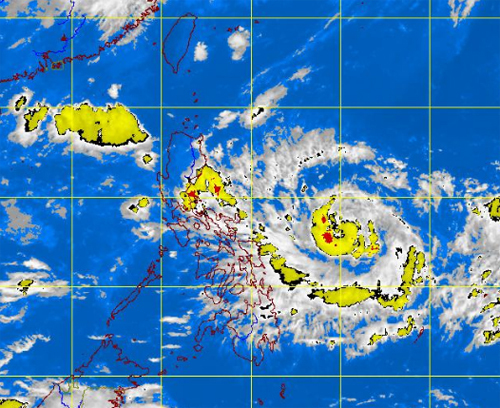 Tropical Storm Lawin expected to affect the eastern seaboards of Southern Luzon,Visayas and Mindanao. PAGASA forecaster Chris Perez said in an interview on dzBB, "Lumakas ito habang patuloy na binabaybay ang Philippine Sea." PAGASA weather bulletin posted as of 4a.m, "Tropical Storm Lawin (international name: Jelawat) was located 670 kilometers east of Virac, Catanduanes." Meanwhile, PAGASA warned fishermen and small seacraft in the Eastern Visayas and Bicol areas against venturing out to sea due to the risk of big waves. Comments or suggestions about "Tropical Storm LAWIN Update - September 21, 2012" is important to us, you may share it by using the comment box below.